Today I’m sharing (finally, I painted them in Oct!) 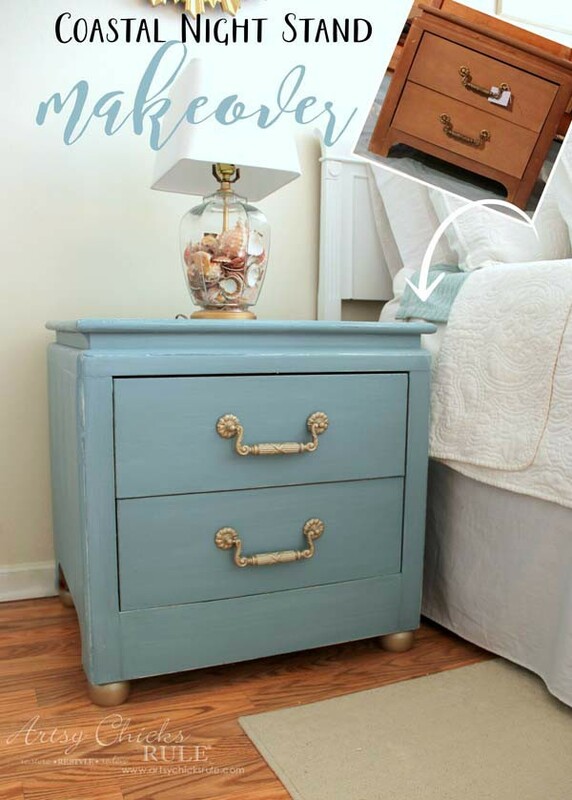 my Coastal Turquoise Night Stands I gave a makeover to. 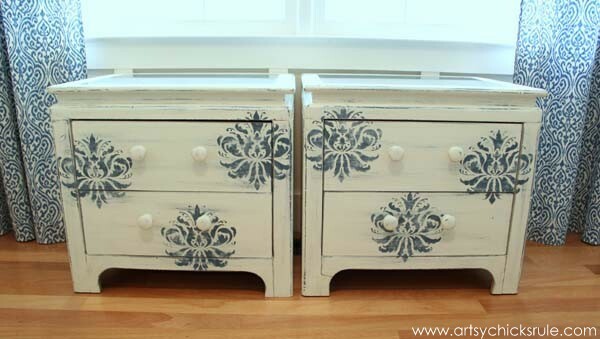 The night stands that I previously gave a makeover to. Here is the first rendition…. Cute but didn’t really match what I had going on in my master bedroom. So I painted them… again! Yep. I know y’all have already caught a glimpse of them in this post here… DIY Beach Painting. 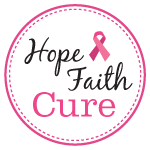 I’ll be sharing affiliate links to some of the products I used for your convenience. Full disclosure details are here. 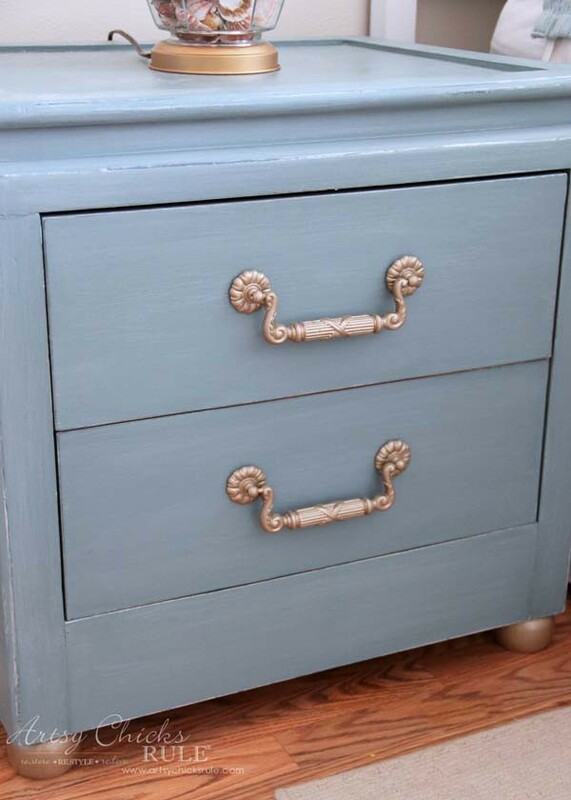 I used Chalk Paint® by Annie Sloan. I can’t give you exact measurements but I used Aubusson Blue, Pure White and Duck Egg to come up with this pretty, soft turquoise color. I already had it mixed up and just added to it. BUT I am confident you could take those three colors and mix something very similar. 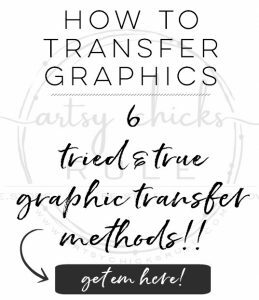 Now, one of the main reasons I gave these another makeover is this…. It’s slim pickings out there these days! 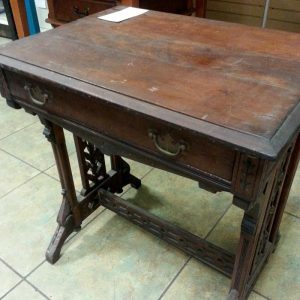 So many people are redoing furniture, either the prices are way too high OR there is just nothing to choose from. So…I figured I’d use what I already had. 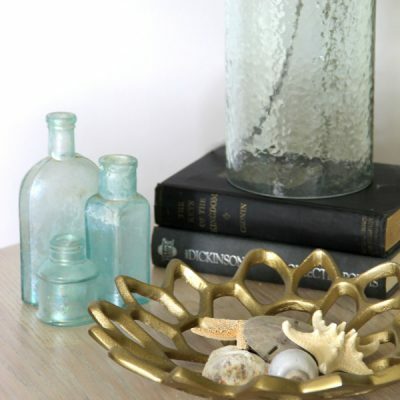 But these were not really the style I wanted to use in my beachy, coastal room. 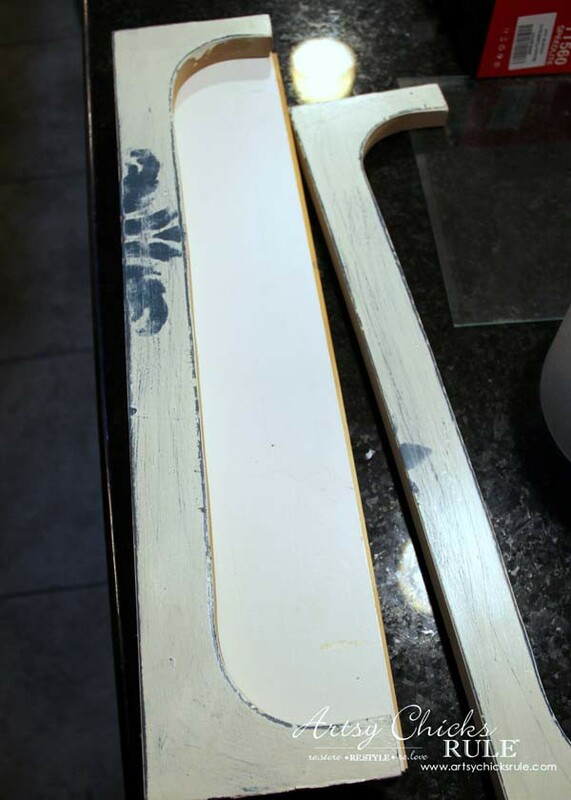 I popped out that bottom curved piece of wood and had my husband cut a straight board to fit. I wanted to move away from that original look. I also wanted them a bit taller so I added ball feet…. What a difference those 2 very simple things made, right?? I think it changed the look of them completely. 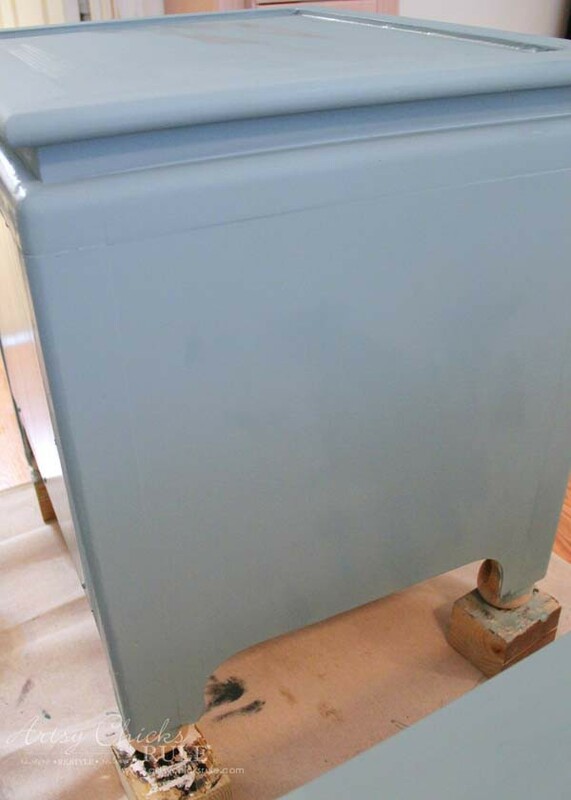 So, I got to repainting…. 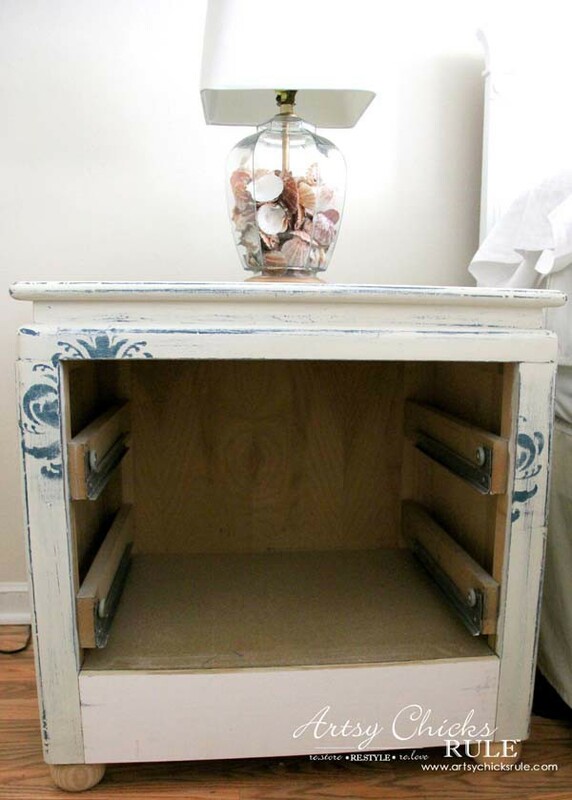 …which is always a breeze with Chalk Paint. Once they were painted and dry, I sealed them with the GF top coat. Once that was dry, I gave them a quick “dry brush” with the GF glaze. It gave them the “coastal look” I was after. And if you’ll remember, the tops previously had a glass insert. I actually sort of hated that insert! So I decided to just leave them out. I had considered adding some decoupage or something but in the end, just decided to keep it simple. I also gave all the edges a slight distress. This gave me the more relaxed feel I was after. 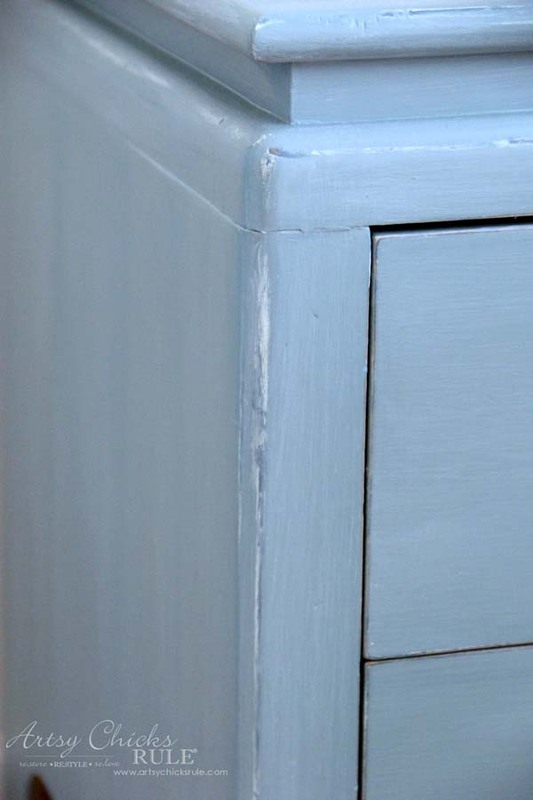 Plus I just love seeing the dark Aubusson Blue and the Pure White peeking through from the first paint job. On the first rendition, I decided to use different knobs. For this go round, I decided to use the original hardware…painted. I keep everything so I had those stashed away since the previous makeover. 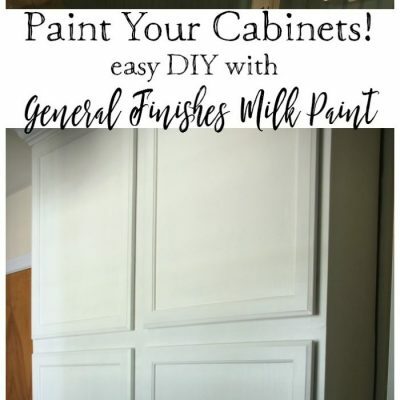 I used Rustoleum Champagne Mist. It’s a lovely, soft gold color. Sorry I don’t have a link for that one but you should be able to find it at the big box stores. I used it on those ball feet too. See that tiny bit of color popping through where I distressed? I’m soooo happy with these now! I’m actually really glad I didn’t get rid of them. 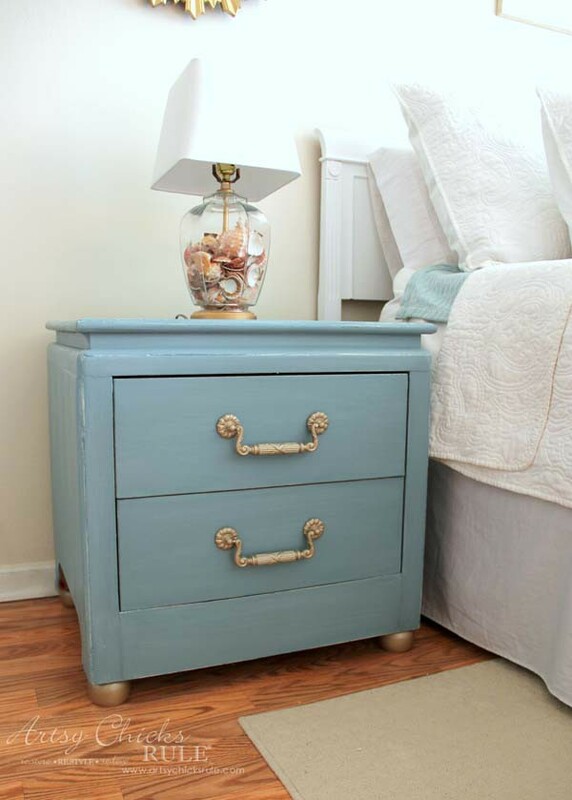 I just love these turquoise night stands! They look perfect in the room. 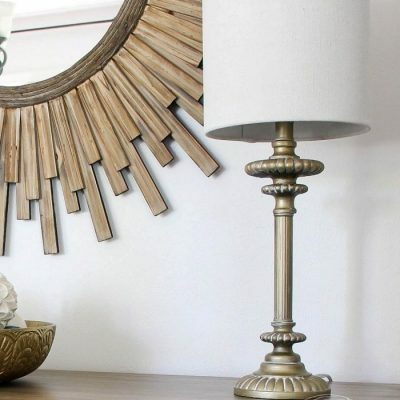 You can see details on the thrifty lamps (pictured above) I gave a makeover too here…. 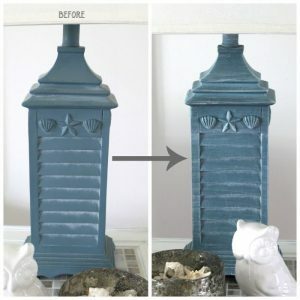 Thrifty Coastal Lamp Makeover. And we are still trying to decide what to do about the headboard. 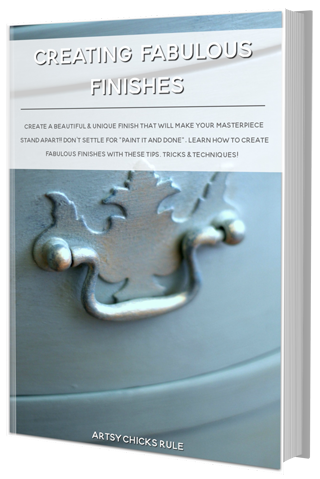 We may build a super simple one but….it’s one more project added to our already long list. My “take away” message for today is this….. 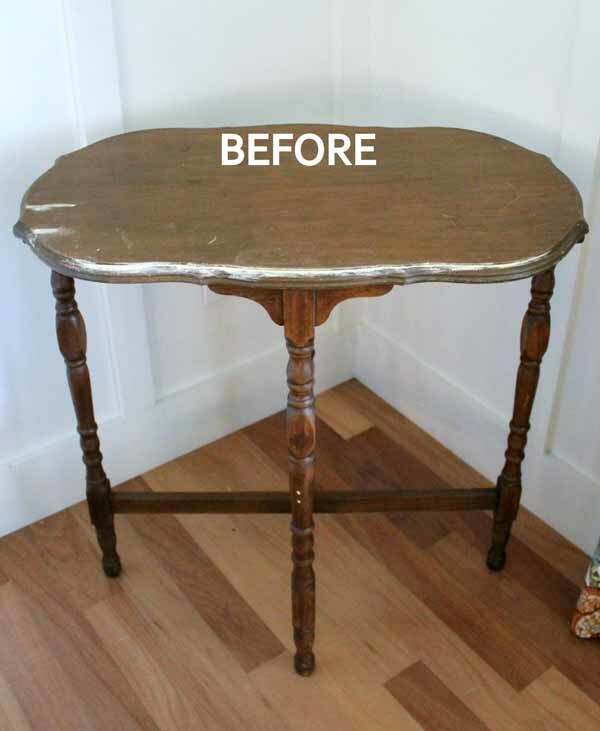 It doesn’t matter if you’ve already given something a makeover, if it’s not working for you, give it another one! It’s always the thriftier way, anyway! And that’s always a good thing when trying to decorate on a budget. 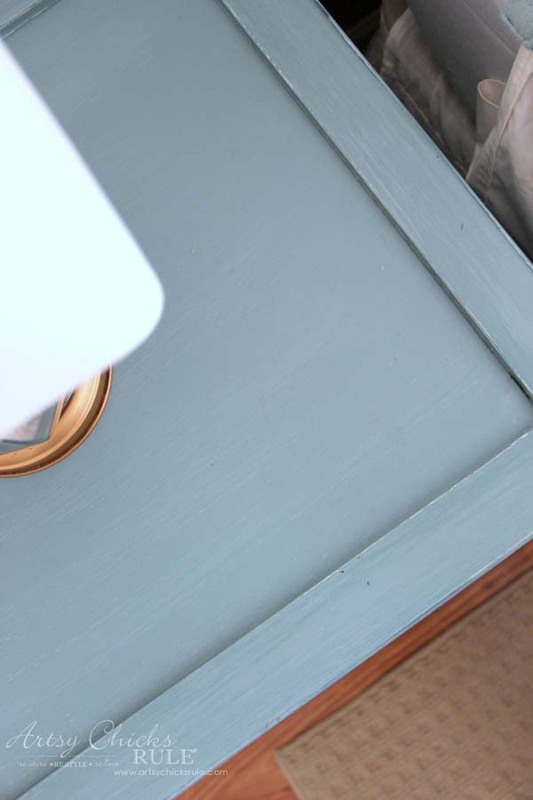 PIN these Turquoise Night Stands for later! Happy painting and decorating friends!! 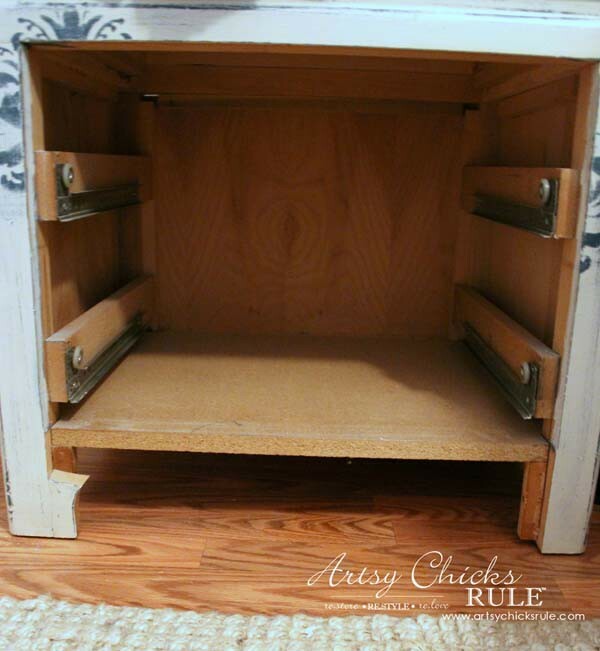 Be on the lookout for our DIY Tutorial for the Bookcase wall! The color brings out all the blues in your room. Thank you! :) They feel dreamy to me now!! 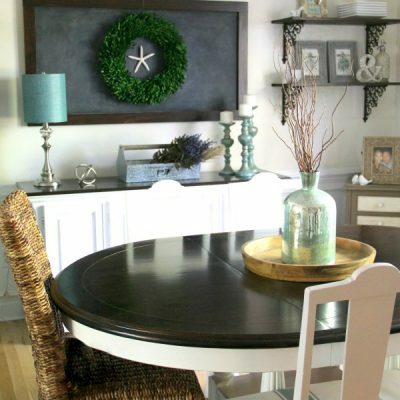 Oh yes, chalkboard paint. 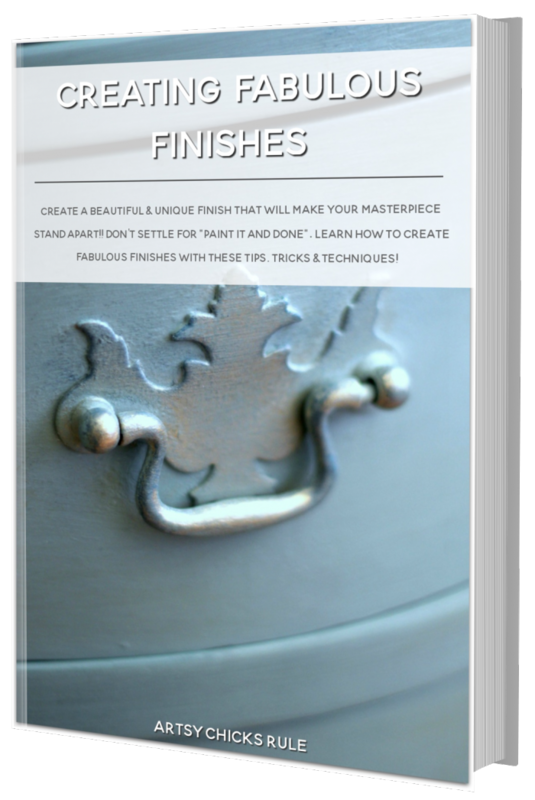 The is Chalk Paint. 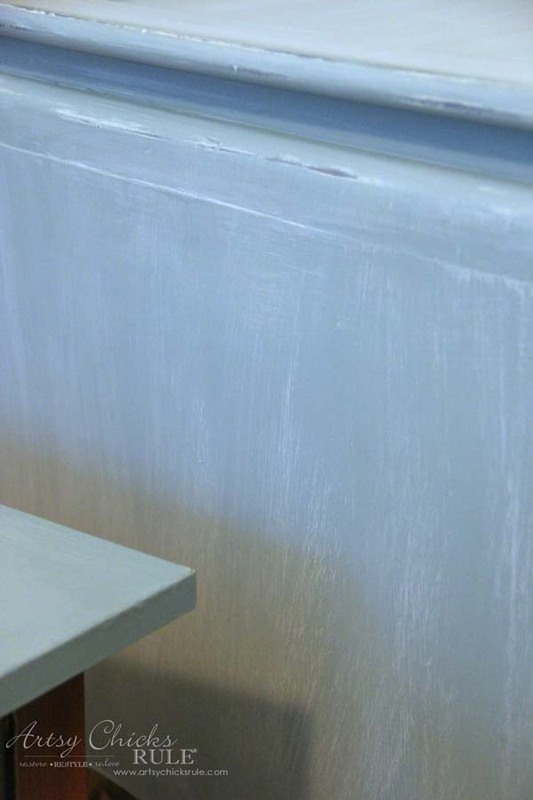 It’s not the exact same as chalkboard paint but has similar properties. I’m guessing that’s why it’s named as such. These are really pretty..love the color. 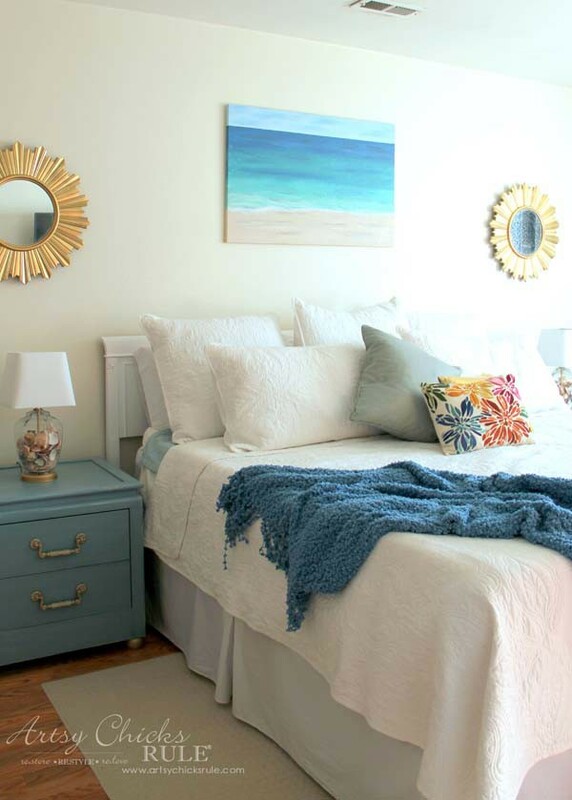 Why not just slipcover the headboard until you have time to do what you’d really like? 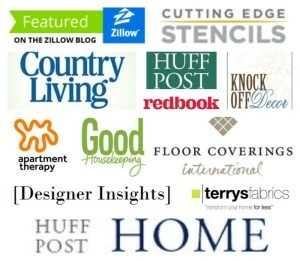 it would be relaxed if you used informal fabric – drop cloth? 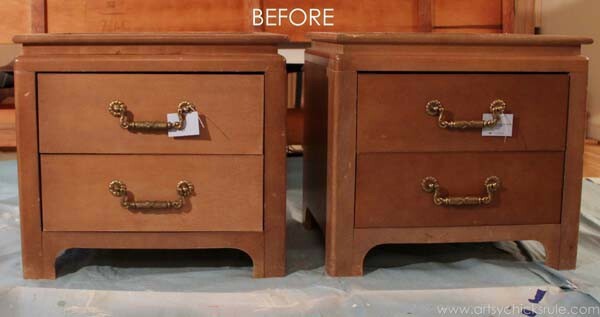 Paint and fabric…they always work wonders. A really great video on youtube is “Christopher Lowell…city studio apartment makeover”…he does a terrific headboard slipcover with faux ties down the side. Good luck on whatever you decide! That’s a neat idea about the headboard, I’ll take a look!! “Oh no!” I mean “Oh yes!” I see another makeover in my future! 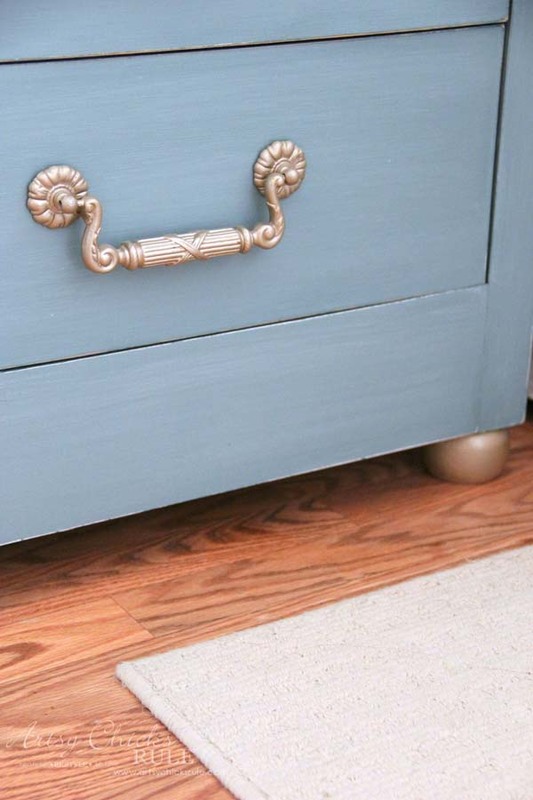 Those ball feet are just what I need on my nightstands! And those handles are great! 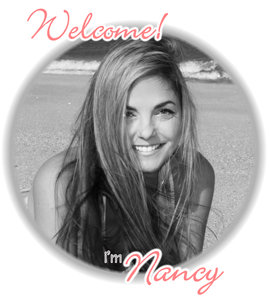 Thanks again Nancy for another inspirational nudge. Yes, do it!! Go right on over to The Home Depot (or was it Lowe’s?) grab some of those feet and do it! I really like your latest makeover. 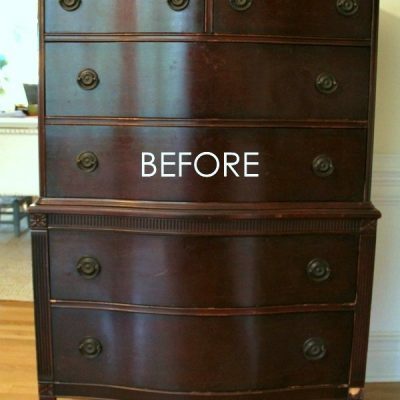 And the original knobs look great. They really pop against the new color. Great job! Thank you! I’m so glad I kept those handles. They really do look great again with it! Back where they belong. I love the second edition!!!! They look so nice in your bedroom. I really like how you changed out the piece of wood in the front of each nightstand and also how you added the bun feet. 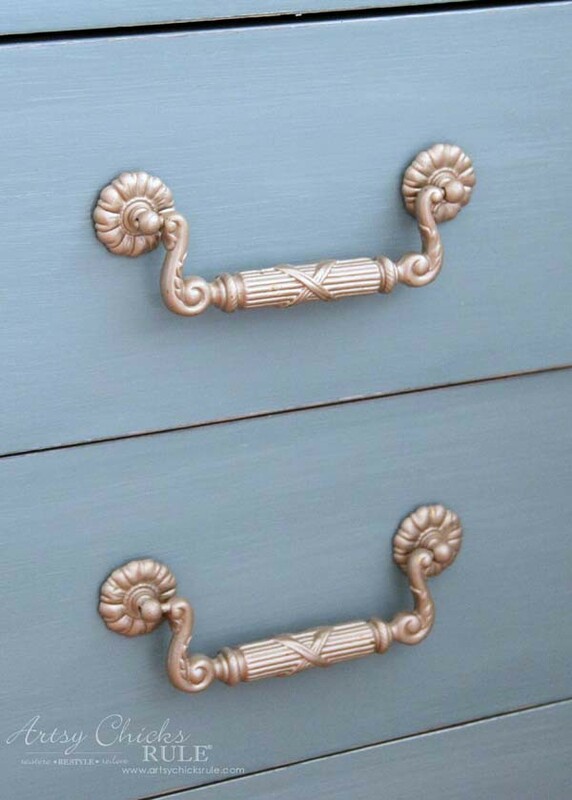 The original handles painted are perfect. Love! 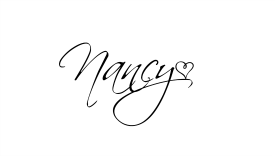 They look gorgeous Nancy! 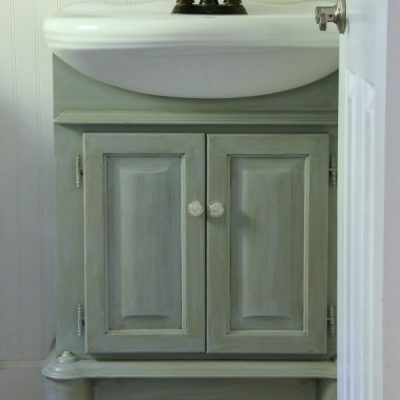 Love the color but the ball feet and hardware painted in that pretty champagne color are perfect? Adding the spray paint to my shopping list. Love it! Your site is the best. Where can I purchase the GF glaze? Thanks. Very nice. Where did you find the ball feet? Are they glued on or screwed in? They are screwed in quite tightly. You could also apply a little glue before screwing them in.